During early 2011 Athletics South Africa and SASCOC agreed upon the principle underlying the selection of the athletics component of the Team South Africa to compete at the London Olympic Games in 2012. While Team South Africa falls under the auspices of SASCOC, Athletics South Africa presents a list of athletes to SASCOC who will ensure that those athletes have also met their requirements before announcing the final team for the Olympic Games. 1. SASCOC will only consider selection of athletes who have attained the A qualifying standard at qualification events approved by the IAAF. The athlete would have obtained the A standard at two events, of which one should be international. Only Marathon and Race Walk athletes shall be allowed to attain the A standard at one event, which must be international. 2. B qualifying standards will only be considered for athletes who make up a relay team that is ranked in the top 8 in the world. 3. B qualifying standards will be considered for athletes earmarked for participation at the 2016 Games. • In the case of race walks, track performances (20,000m and 50,000m) will be accepted. The following are the additional criteria which will be applied by Athletics South Africa when making recommendations to SASCOC for inclusion in Team South Africa. These are to be read in conjunction with the SASCOC standards. The qualifying period for selection shall open as from 27 August 2011 and close on 30 June 2012. At least one qualifying performance shall be achieved after 19 March 2012.
International events shall be classified as any event which is part of an IAAF or CAA series or competition. 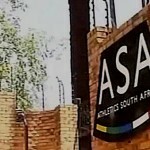 Athletics South Africa will consult with SASCOC where there is any ambiguity, and athletes are encouraged to contact Athletics South Africa if they are uncertain. With regard to marathons and race walking competitions, only those on the IAAF list of qualifying events will be considered. Deadline for qualifying in respect of the marathon is 30 April 2012. 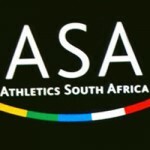 Track and Field athletes wishing to be considered for selection must participate in the Yellow Pages South African Senior Championships on 14 and 15 April 2012 in Port Elizabeth. Only athletes who cannot participate for valid medical or compassionate grounds and who notify Athletics South Africa before the championships will be excused from this requirement. 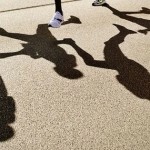 Athletes wishing to be considered for selection must further be available for selection and participation at the African Senior Championships in Porto Novo, Benin from 27 June to 1 July 2012. Only athletes who cannot participate for valid medical or compassionate grounds or who were individual medallists at the IAAF World Championships in Athletics in 2011 and who notify Athletics South Africa before the team is selected will be excused from this requirement.